Aloha from The Bali House Hawaii! Take an Incredible Break from Reality and Enjoy Blissful Ocean Breezes and Relaxation Beyond Compare! 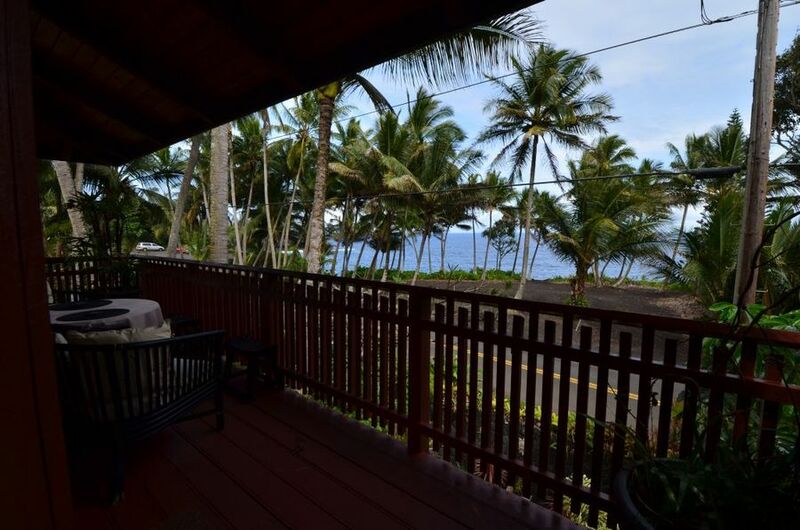 Break away from the Hustle and Bustle of your routine and lose yourself in the serenity of the Big Island. 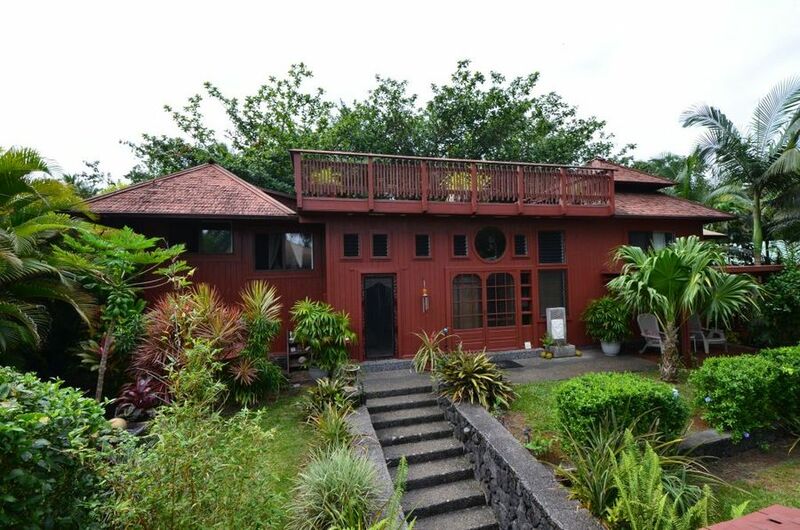 Unwind at this authentic Bali House located less than 200 ft. from the World famous “Kehena Black Sand Beach”! This beautiful Bali Home has unobstructed Oceanfront Views of Kehena Bay, home to Spinner dolphins and Humpback whales (during the winter months). 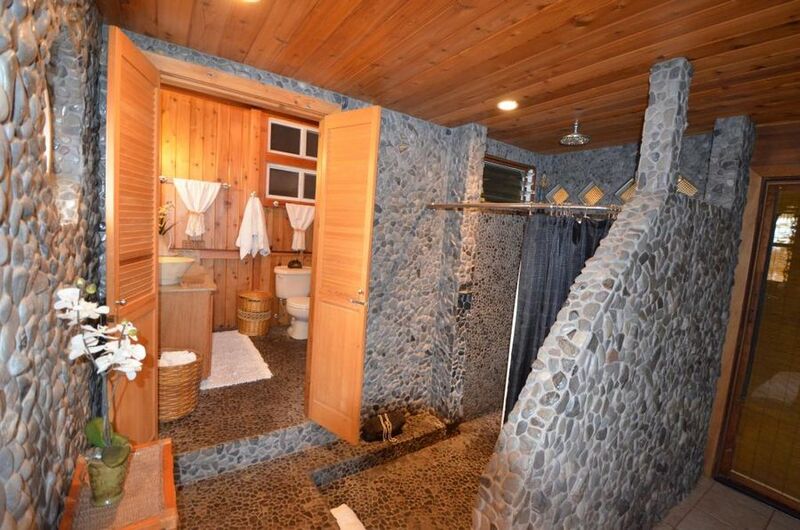 Built in Bali and re-assembled here in Hawaii, the Bali House is over 1350 sq. ft of indoor living space and over 400 sq. ft of outdoor living space on a 9000 sq. ft fully gated and landscaped Estate. 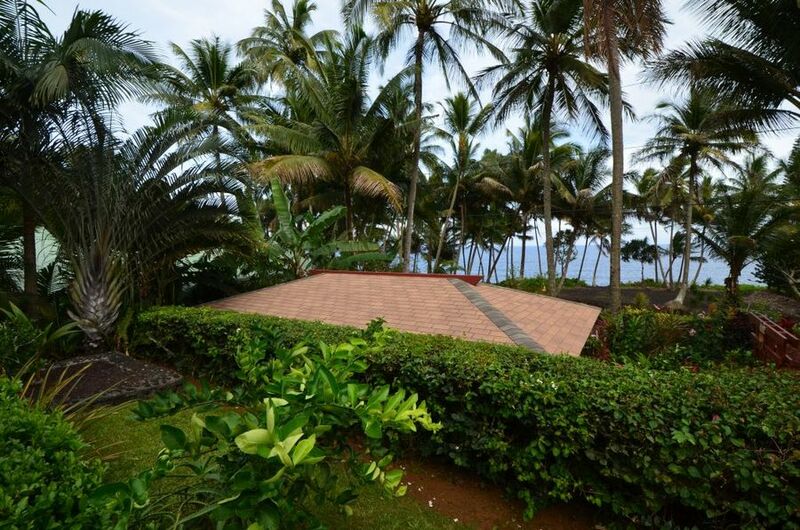 It features an open concept living space with 3 separate pods that inter-connect giving you amazing ocean views, beautiful gardens, Large Furo style Hot tub, private gated covered parking, lanais, deck and patio areas. High end Designer linens and Imported furnishings with 2 amazing Master bedroom suites. The 1st Master Ocean View suite features a private ocean view bedroom with a sliding glass door leading to an ocean view deck with loungers and umbrella. It is made from exotic hardwood Merbau Flooring, cedar walls and imported stone. It is also furnished with high end Tommy Bahama 4 post King bedroom set, TV/DVD/BluRay with DVD library, phone, stereo and more. The 2nd Master Garden View suite features a Queen bed w/ memory foam mattress, antique desk, flat screen TV and DVD/blue ray player, bistro table and imported Bali teak day bed/ couch, meditation area, Japanese lanterns, and is over 300 sq ft of living space that is fully screened and private with lava rock walls and blue stone floors. Enjoy the Ocean Views and Sea breezes from almost every room. No detail was overlooked during the construction of this unique and incredibly exotic Bali House. Made with Imported Exotic hardwoods, Blue stone, Hand stained glass and High end amenities; a large and soothing Private outdoor 4- 5 person garden Furo Hot spa, Full kitchen with stainless steel appliances, BBQ grill with Teak Patio furnishings with umbrella, ocean-view stone patio, sunshade pergola w/ sunbathing loungers, additional ocean view Loft twin bed, Walk in Stone shower with Rain Shower Head, book library, Stereo, Free WIFi and Free Long Distance to the US and Canada. Also provided is a Covered and Gated Parking carport exclusive for our Guest. 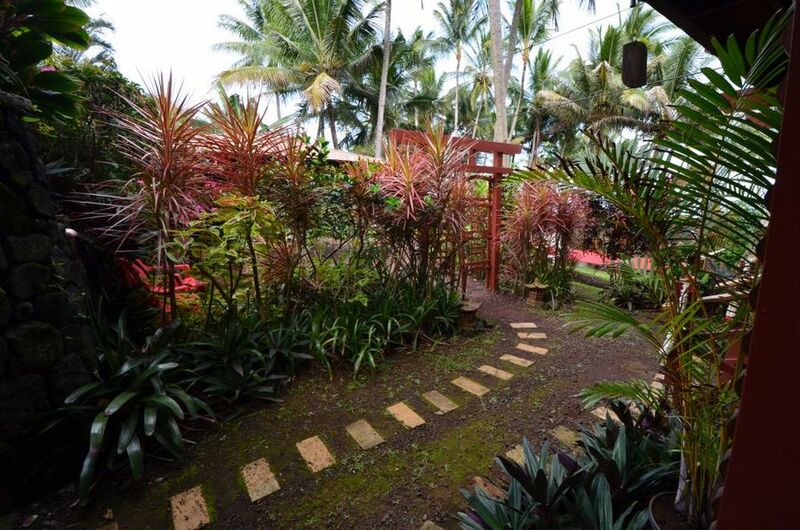 The Bali House is surrounded by Lava rock walls and Bamboo fencing, lush tropical gardens for extra Privacy. Pamper yourself with our On sight Services such as Massage, Wedding Services, Hawaiian Blessings, Travel Agent and a Private Chef at your disposal! Lei Greeting with a complimentary Bottle of Wine at check in. Located on the Puna Coast on the Big Island of Hawaii, this area offers, Private Beaches, Warm Ponds, Surfing and Swimming Beach Parks, Lava Boat Tours, Sea Cliff's, Tidal Pools, Lava tree state park, close to the current Lava Viewing area (only a few miles away) towards Kalapana. 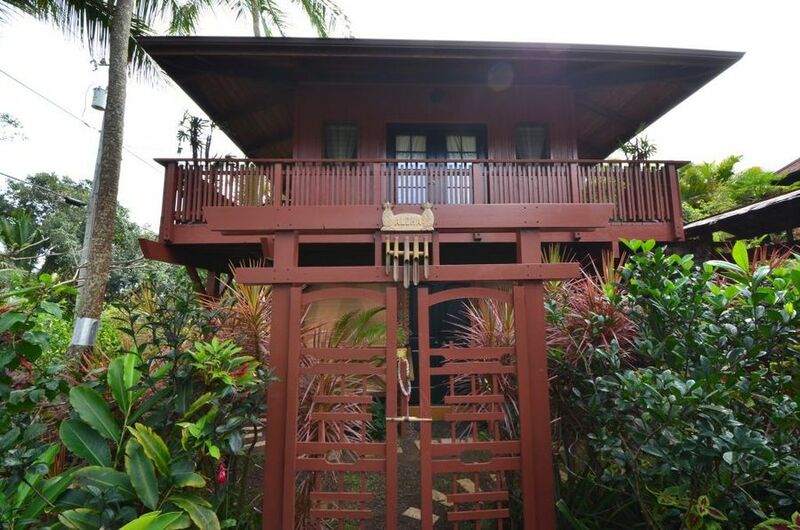 Come and Stay in a part of Hawaii's Big Island that best represents Old Hawaii’s untouched Beauty and tradition. 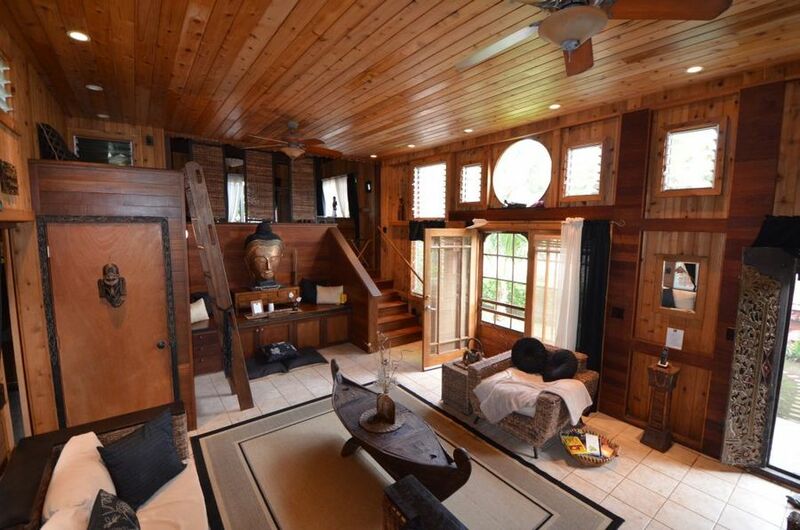 Make The Bali House your next Vacation Hideaway! Serene and Romantic, the Bali House is the Perfect Getaway from it all. Full of Beauty, Adventure & Tradition, it is what Hawaii use to be! It would be our Honor to Host you! Become part of our Ohana today! Bali House & Bali Cottage maximum trade/exchange time 5 nights. The properties cannot be taken simultaneously. We very much enjoyed our stay at the Bali House in December. 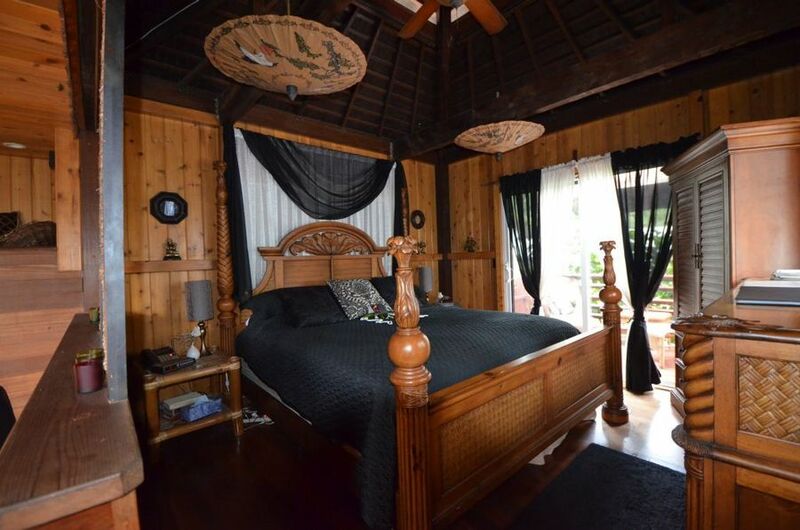 We were looking for properties away from the normal tourist areas on the Big Island and this one fit the bill perfectly. The home was confortable, well appointed, as well as being a bit unusual in design. The owners live nearby and were very helpful and available as needed. 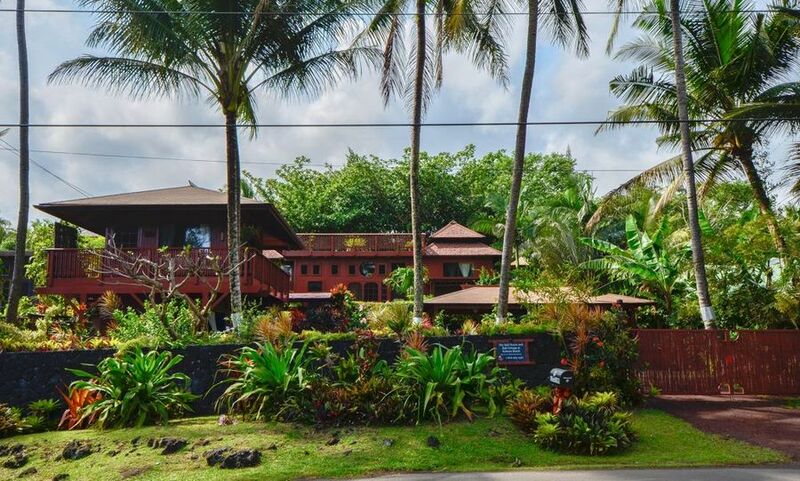 As our primary objective was exploration of the Island, this location proved very handy to the attractions in and around the Hilo area and to Volcanos National Park. Come prepared with your own food for a day or two when you arrive, as it is a bit of a drive to the nearest grocery store or cafe. Beach access on this part of the Island is very limited, but good scenery and birdlife abound. Romantic Oceanfront Balinese Beach Homes just steps to Kehena Beach.